Seller Description: Shop Cat5e Plenum Cable 1000ft is tested up to 350MHz, 1000ft Cat5e Cable is best Choice for Networking Indoor/outdoor Installation, Available in (Blue/white) Colors. Cat5e Plenum Cable 1000ft is tested up to 350MHz. 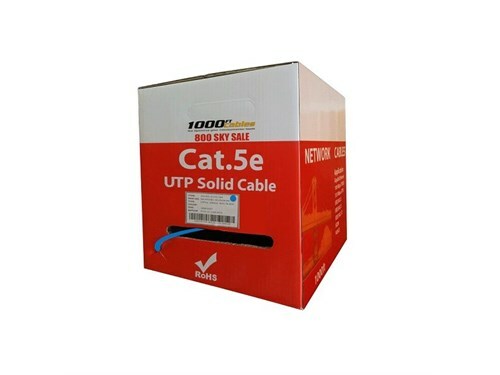 Cat5e Plenum CMP 100MHz UTP Ethernet Networking cable rated has a special insulation CMP Plenum Rated Jacket.